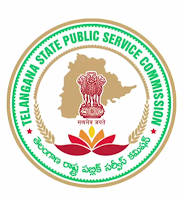 TSPSC Gurukulam Notification 2017 Apply 7306 Telangana Gurukulam Teachers Notification: Telangana Public Service Commission released an official web notification for appointing 7306 Telangana Gurukulam Teacher Jobs. TSPSC organization scheduled to appoint 7306 Residential Schools Principal, PGT, TGT, PET, Art/Craft/Music Teachers, Librarian, Staff Nurse, JL, DL Jobs. Contestants with eligible qualification can apply TSPSC Gurukulam Notification 2017. For applying Telangana Gurukulam Notification 2017 contestants should have educational qualification like Graduation/ Post Graduation/ Bachelor Degree with B.Ed course from any identified university. Age limit should be 18-35 years for applying TSPSC Gurukulam Teacher Jobs 2017. Age relaxation will be applicable for reserved contestants belongs to SC ST PH contenders. Telangana Gurukulam Teacher Recruitment 2017 Apply Online: All the interested applicants who are willing to apply for this TSPSC Guruku Notification 2017 must register through online. The TSPSC Gurukulam online application form 2017 is available on the official website www.tspsc.gov.in. Eligible candidates can start their registration on 10th February 2017. For applying TSPSC Gurukulam Notification 2017 candidates must have TSPSC registration id. Those who have already registered in the TSPSC One Time Registration can apply by providing their registration details. Whereas the new applicants have to register first and after receiving the TSPSC registration id, proceed to the TSPSC Gurukulam online application process. A lot of applicants are looking for Telangana Gurukulam online application procedure. For those applicants, we have provided the step by step procedure in the below section. Age Limit: Job seekers age limit should be in between 18-35 years for applying Telangana Gurkulam Teacher Notification 201. Age relaxation will be applicable for all reserved contestants like SC ST PH contestants. Go the official website www.tspsc.gov.in. Click on Edit option under TSPSC One – Time Registration system (if already registered). Enter your TSPSC registration Id and Date of birth. Select the post you wish to apply. Fill the essential details in the required fields. Click on the preview button before submitting. Check all the details thoroughly. Now your application form will be generated. Save it and note down the registration details for further use. If the applicants do not have TSPSC registration Id or applying for the first time through the portal. Click on the new button under One Time Registration and complete the registration process. You will receive a TSPSC registration Id number use that number to apply for the recruitment. Opening Date For Online Applications: 10th February 2017. Closing Date For Online Applications: 4th March 2017.